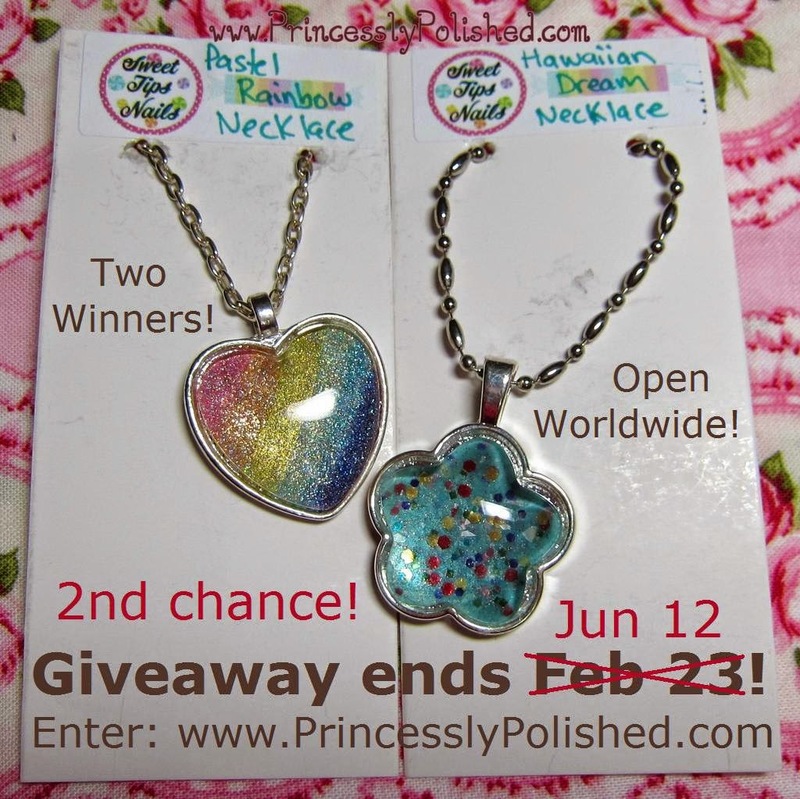 Princessly Polished: 2nd Chance Giveaway: Two Winners! Nail Polish Necklaces! Open Internationally! 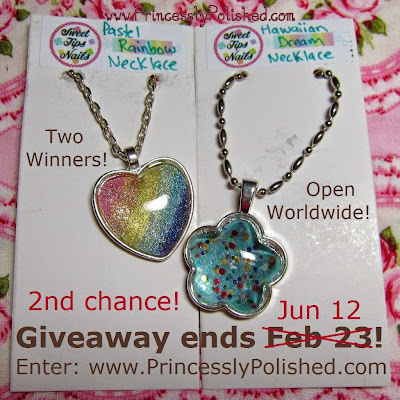 2nd Chance Giveaway: Two Winners! 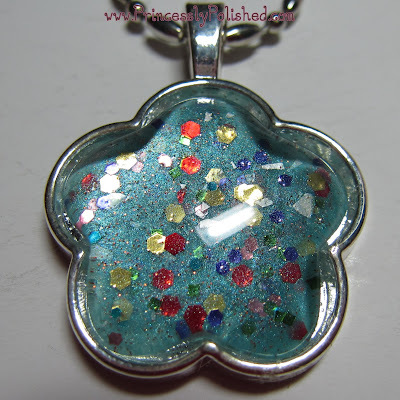 Nail Polish Necklaces! Open Internationally! If you've been reading my blog since February you may recognize these two prizes. When the original giveaway ended Rafflecopter chose non-responding entry after non-responding entry. Being newly pregnant I didn't have the time to keep trying different entries right then, and before I knew it HelloCotton had shut down, making several entries void. I could no longer see sifting through those old entries. It pains me to have not been able to complete the original giveaway, but I feel this is the best way to find winners for these prizes. This giveaway is shorter-running, and I added extra entries for anyone who participated in the first giveaway. Here is the original giveaway post. 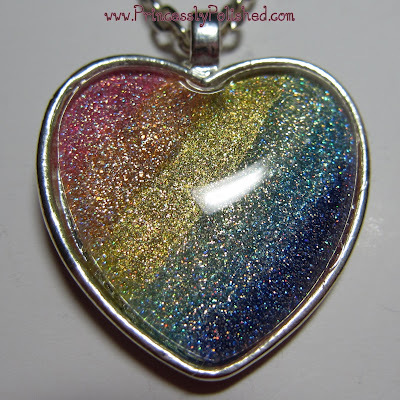 Heart-shaped Pastel Rainbow Necklace - This has a soft rainbow sparkle as well as being painted in rainbow stripes! Flower-shape Hawaiian Dream Necklace - This is full of shimmer and glitter held a fun flower pendant, very unique! This giveaway is open to all my followers, new and old! International followers are welcome but please be aware that I'm not responsible for missing or damaged packages. Don't think I entered the first giveaway, but I am glad that I found this one! Thank you for the fun giveaway and the opportunity!